Sims 2 Archive 1 - Appleton Adventures! 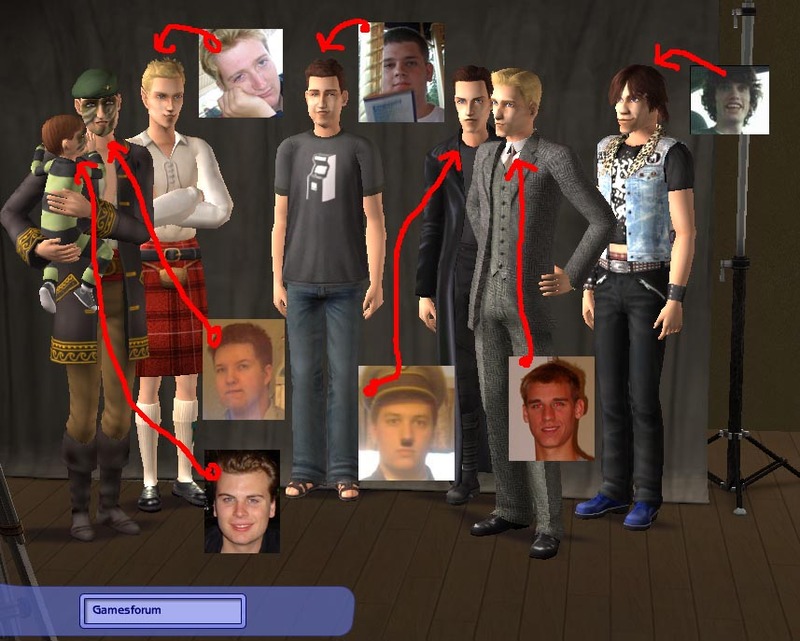 This here is a transcript of the day-to-day updates of the Gamesforum Family- seven Sims modelled after their respective volunteers in the Games subforums at Something Awful, and crammed into a 3bdr 2.5 bath Waltons-style farmhouse. The following are straight cut-and-pastes of the day-to-day updates I provided in the thread. Also included, are the excerpts from the accessory houses. Be advised that some of the clever captions are in-jokes and references to the social fabric of the forums themselves, so for any unindoctrinated readers, don't feel so bad if you read something with context you don't understand. A family that gays together stays together! ForeverGrey - Sup baby. - Just guess his aspiration. ObMeiste - As you can see, I've cemented your relationship with FG as his savior and guardian. Also you can thank your personal ambitions for the beret and facepaint, and Rathen for your piratude. - Fortune aspiration. Otik - Englishman, eh? - Popularity aspiration. GIIRyudo - I'm sorry you're so ordinary, but all things considered that's better than what some folks got. - Knowledge aspiration. Rathen - So you like costumes of trenchoat-clad figures of ultimate darkness that started their careers with a bang and ended in a charred gutter of broken dreams and destroyed lives? - Family aspiration. Duey - Well mister Fortune, you better live up to earning the cash for the house. - Derf. EtchaSketch - You wanted the role of giant deviant so I ran with the whole Mick Jagger lookalike thing. - Romance aspiration.